Rogers Jewelry had a store on School St. for many years. This photo dates from Nov. 6, 1957. The company was celebrating it’s 50th anniversary and was giving away a new 1958 Chevrolet. 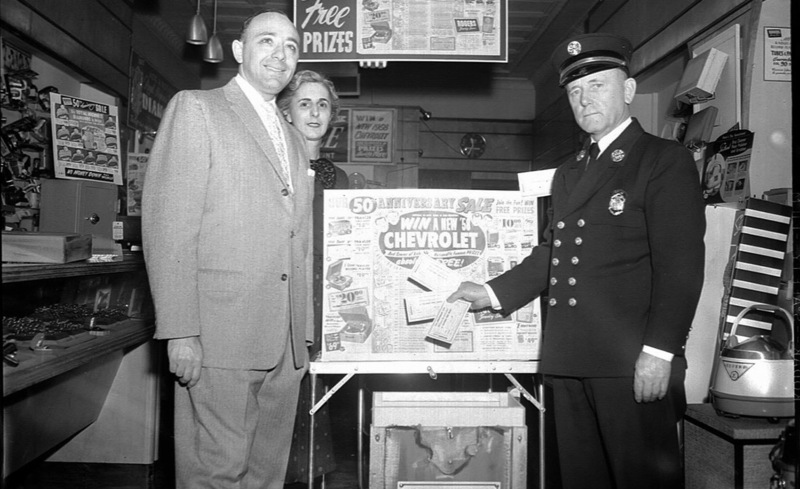 The owners and a member of the Fire Department took time to pose for a photo advertising the giveaway. Do you recognize them? Let us know if you do! !